History is best described as the setting sun and the night that follows. Those of us who have a passion for all things historical realize we are attempting to keep that history in the daylight for future generations, by taking the old and repackaging it in a new and interactive way that will spark the imagination of future generations and give them the desire to learn more about what inspired us. Currently many schools have developed S.T.E.M. programs capable of helping young people prepare themselves for the future technological challenges in our society. Many corporations are also willing to invest in that type of education for the betterment of our youth . Working at the California Capital Air Show late last month, I had time to take in many of the displays and programs being offered in addition to the aerial demonstrations. It really showed how, as an air show-going society, the things we embrace today are sure a lot different from what inspired us in the past. My recollections of meeting the great pilots from the history books and seeing pioneering, innovative aircraft take to the skies during the air shows I attended when I was growing up are the things that made me who I am today and fueled my passion to want to learn more. For past generations, that was the draw that kept us coming back time after time, show after show. Today, the challenge for historians and curators of aviation and aerospace history is figuring out how to impact current generation and make our history just as inspiring and relevant as the cutting-edge technology of modern-day aviation is to the young people of today. I’ve traveled and worked at hundreds of air shows and put on many programs and events that were all about opening the history books and sharing the subjects with a passion — less the boredom that might accompany another mandatory briefing or history lesson. 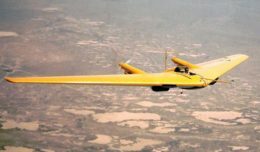 Old aircraft and modern share a lot in common, in that the planes of today will someday be relegated to the role of old aircraft and the excitement they generate today will be old news in the future. Hard to believe that someday the F-35 will be considered an antique! — that’s just the way things go. But that doesn’t mean that today’s aeronautical marvels shouldn’t have a place in the curriculum for future generations, and become a tool and a passage to a place that can inspire. Visiting a couple of S.T.E.M. tents, I was impressed by the young people and their projects and enjoyed their energy and creativity. It really shows how far we are coming when educating and inspiring the future — but at the same time, I noticed the absence of the past being shared. The greats of aviation and the machines of yesterday are just as important to the development of a young person’s journey of understanding, and should be shared with the same excitement and passion as space flight to Mars and high-tech machines created today. I’ve been blessed in my life to walk the flight lines many times with great men and women who grew up in an era where just the idea of flying was a dream. 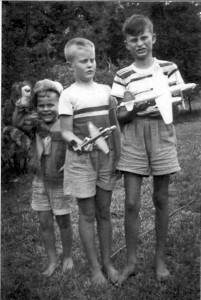 At a young age, they never thought they could achieve such a magical thing, but they had role models and heroes in history books that kept them pushing to the skies. That is our challenge today. The Aerospace Walk of Honor on Lancaster Boulevard has just one hundred names. If you asked any school student in the Antelope Valley to name just one of those amazing pilots, I fear you would get a lot of blank stares and some “why do I care” type of responses. History is a hard sell in today’s society and more often than not, it’s used more to show our mistakes and struggles, rather than the amazing journey of so many humble heroes that are the shining examples of what we as Americans are capable of — examples that our young people can look up to and use as a guide to their own lives. Every generation faces its sunset and night in regards to its history, but it’s up to those generations to pass it on to the future in a new sunrise of discovery. We need to do a better job in making sure our schools and institutions put just as much passion into the old as they do in the new, and find the individuals that can preserve and teach and put forth the effort to make the past an amazing discovery of knowledge that is just waiting to be tapped into. 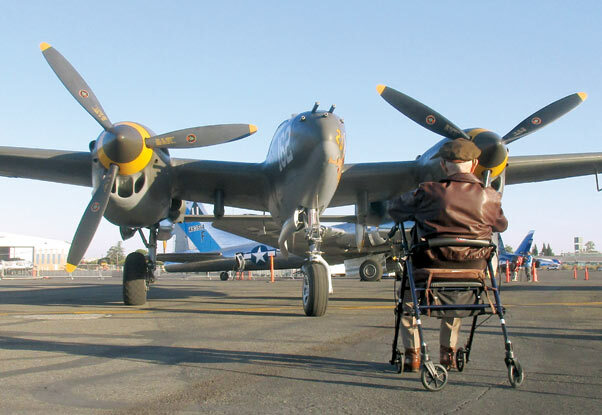 High Desert Hangar Stories with Bob is the result of a young boy’s desire to learn as much as he could about history and never giving up on that passion to share a lifetime of discovery with as many people as I can. No, I’m not a doctor or a lawyer or a big time CEO, but when I’m sharing a story and I have a captive audience, I’m the richest man in the world. I so want other young people to find that same magic of discovery that comes from a history book. Until next time, Bob out …..